Published on November 02, 2006. 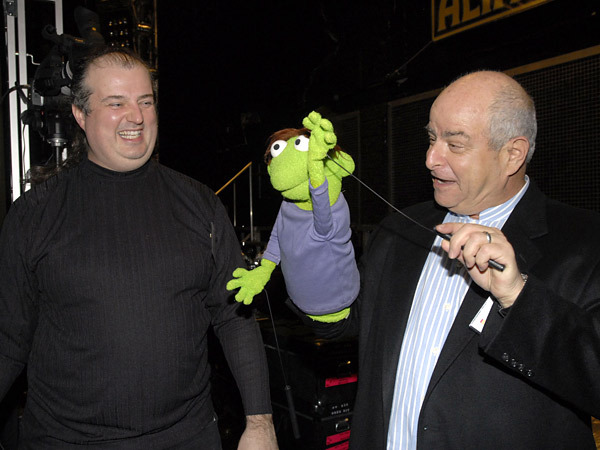 NEW YORK (AdAge.com) -- Injecting his own kind of humor into the Idea Conference at the New World Stages in Manhattan was Matt J. Scheckner (above, left), whose official Yahoo title is consigliere. 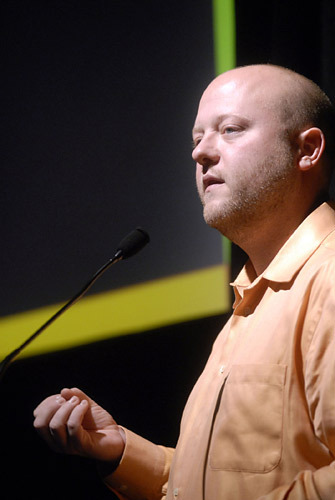 Above right: Brightcove founder-CEO Jeremy Allaire talks about the exploding world of online video distribution. 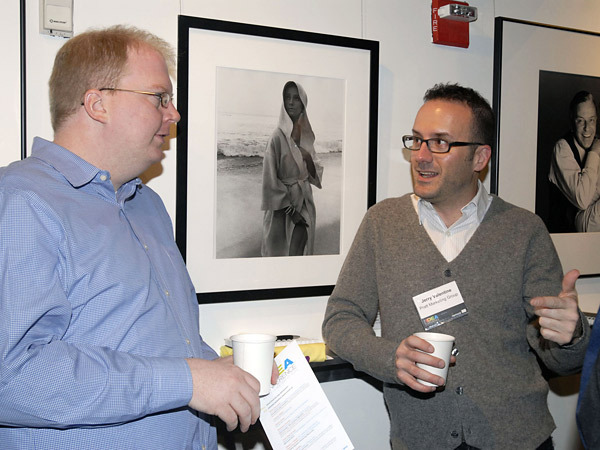 Taking a breather are (above, left) Brian Crowley (left), creative strategist, Pratt Marketing Group, with Jerry Valentine, VP-creative director, Pratt Marketing Group. 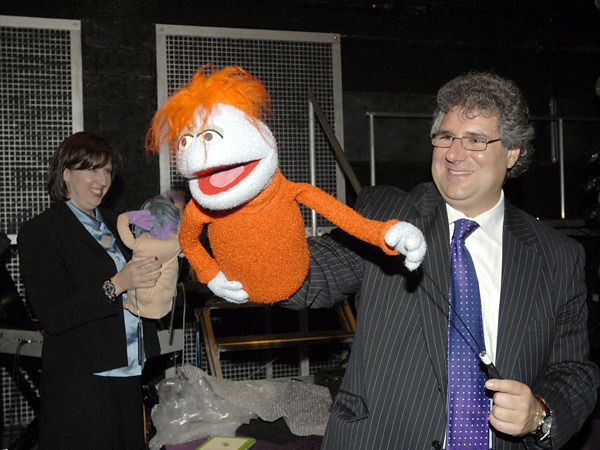 Above right: Jerry Shereshewsky, ambassador plenipotentiary to Madison Ave. of Yahoo, tries out a puppet with the help of Tyler Bunch, a puppeteer at Jim Henson's Creature Shop. Sharing a light moment at the Yahoo 'Hugs' sign are (above, left) Stefan Willimann (left), VP-strategic sales marketing, CBS Radio, and Trina Asiedu, a Yahoo hugs operative. 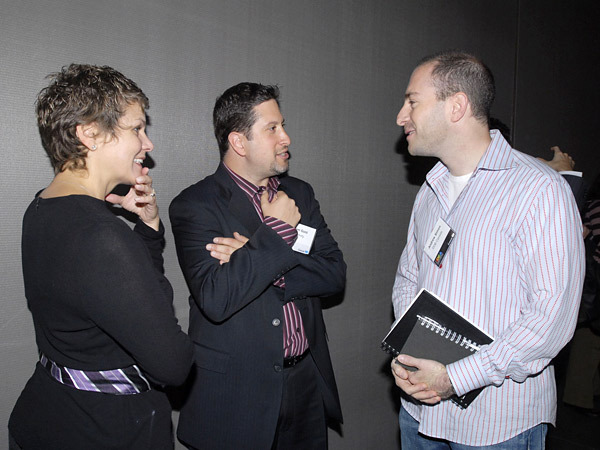 Above, right: Dana Kelly, brand manager, Auto Desk; Adam Gold, advertising director, Creativity; and Andrew Simon, senior VP-creative director, DDB Canada. 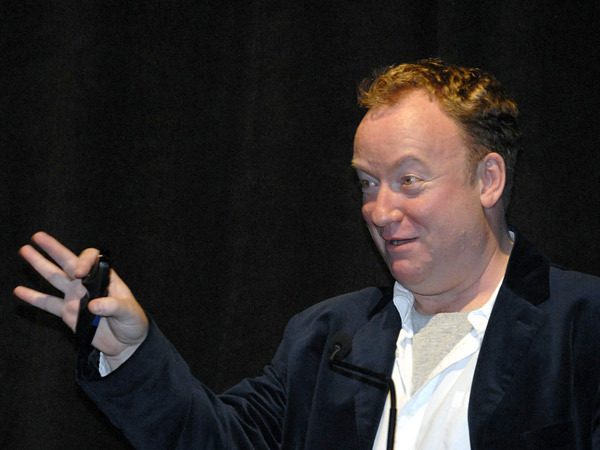 Above left: Paul Bennett, chief creative officer, IDEO. 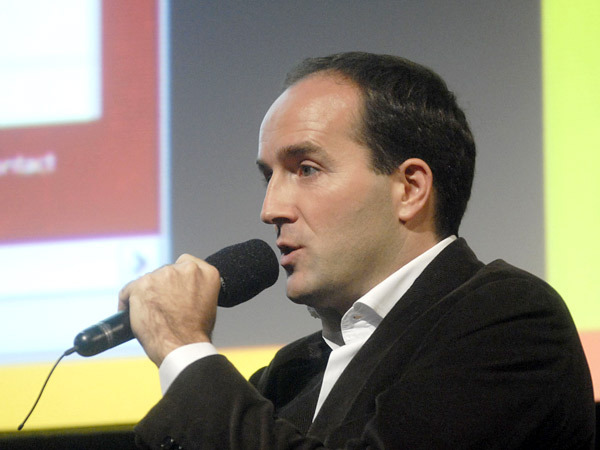 Above right: David Jones, global chief executive officer, Euro RSCG Worldwide, critiques advertising practices.